What's the Buzzzz....?? - Gold Star FS, Inc. In the United States, 1/3 of all agricultural outputs depend on pollinators. Pollinators play a vital role in the production of healthy crops. Gold Star is a proud supporter of providing a valued and protected habitat for pollinators by planting pollinator-friendly flowers. Company-wide we have 5 designated plots to help promote and sustain the pollinator population. At 2 of these locations, we have placed honey bee hives. The bees have been working hard collecting pollen and building their own populations within the hives. There are 4,000 bee species in the U.S. If you have interest in planting your own pollinator habitat, we have special mixtures of flower seed that we sell in 1 pound packages. Contact your local Gold Star FS office to place your order. Monarch (Danaus plexippus) populations have been rapidly declining in North America since 1997. From 1999 through 2012 in the Midwestern United States, there was a 64% decrease in the amount of milkweed available and an 88% decline in the number of monarchs present. While there have been some years of increases, overall the number of monarchs is decreasing. Female monarchs usually lay their eggs only on milkweed plants. Monarch larvae only eat milkweed plants. If there is no milkweed, there will be no monarchs. Monarchs find milkweeds by using visual and chemical cues. What are milkweeds? They are perennial, herbaceous plants. Most have leaves that are paired on the stem or in whorls of four on the stem. Their sap is white and milky. 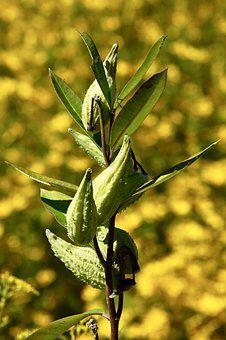 Milkweed plants contain cardiac glycosides. These chemicals are poisonous and affect birds and mammals. Many grazing mammals will not eat milkweeds. The toxicity of milkweeds varies by species, though, and tends to be greater in milkweeds in the southern United States. A few animal species have adapted to milkweeds and thrive on them. Monarch larvae can eat nothing else. The poisons accumulate in the body of the larval monarchs and are retained by the monarch in its transformation to the adult. They make monarchs unpalatable to many predators. Please consider designating a small area to keep and maintain, or start new growth, of milkweed plants to help the monarch population exist and grow. Did you Know?? A group of monarchs is called a congregation. Ashley Davenport with the Farm Journal called to interview us on Environmental Stewardship. Here at Gold Star, we currently have 4 Pollinator Plots throughout our trade territory and at 2 of those plots we have bee hives. Follow the link above to hear our interview and about the Pollinator Program we have here at Gold Star.